Get in touch with nature at Alcatraz Island and Muir Woods National Monument. 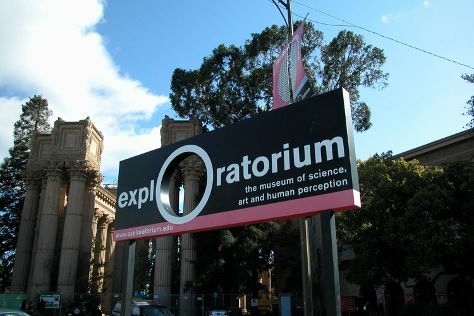 Kids will appreciate attractions like Exploratorium and Fishing Charters & Tours. You'll find plenty of places to visit near San Francisco: Sonoma Coast State Beach (in Sonoma), Wine Tours & Tastings (in Napa) and Tall Trees Grove (in Redwood National Park). Spend the 11th (Thu) exploring nature at Presidio of San Francisco. There's much more to do: take in the views from Golden Gate Bridge, engage your brain at California Academy of Sciences, tour the pleasant surroundings at Crissy Field, and see majestic marine mammals with a dolphin and whale watching tour. To find more things to do, photos, reviews, and other tourist information, go to the San Francisco trip planner . If you are flying in from United Kingdom, the closest major airports are San Francisco International Airport, Metropolitan Oakland International Airport and Norman Y. Mineta San Jose International Airport. Expect a daytime high around 25°C in June, and nighttime lows around 15°C. Wrap up your sightseeing on the 12th (Fri) early enough to travel back home.